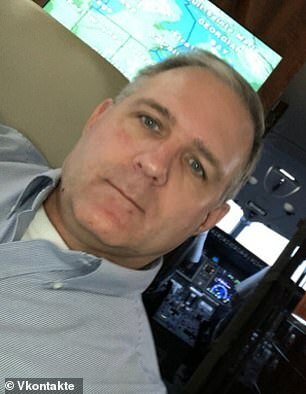 Russian investigative agencies have indicted US Marine veteran Paul Whelan for spying, and he now faces up to 20 years in prison if convicted, Interfax reported on Thursday. ‘An indictment has been presented. Whelan dismisses it,’ an informed source reportedly told the Russian news agency. Russian Federal Security Service (FSB) officials detained Whelan in Moscow on suspicion of spying on December 28. ‘The FSB’s Investigative Directorate opened a criminal case against the U.S. citizen under Russian Criminal Code Article 276 (espionage),’ the FSB told Interfax on December 31. Whelan was detained by Vladimir Putin’s secret services because he received an electronic database with a list of ‘secret’ employees of a Russian agency, it was reported in Moscow. 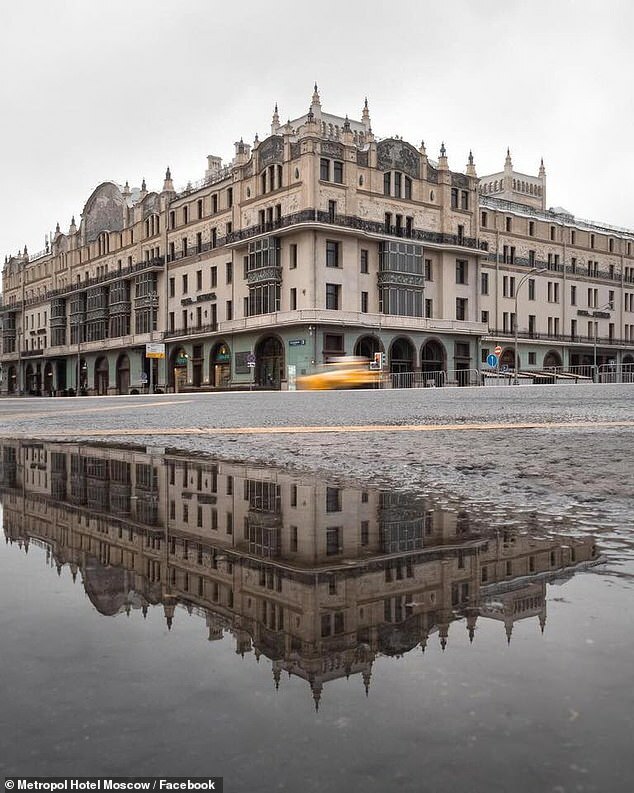 The 48-year-old had fallen under suspicion on frequent visits to Russia because while saying he went to have ‘fun’ he shunned ‘pretty women’ and instead made contacts with males who might have access to confidential information. Minutes after receiving a flash drive in his five-star hotel room in Moscow, armed Federal Security Service (FSB) operatives moved in and detained him, reported Rosbalt news service, which has close links to the security services. Whelan’s Russian defense attorney, Vladimir Zherebenkov, has asked that he be released on bail. Zherebenkov said that he suspected the American had been undersurveillance for some time, but presumed Whelan was innocent, according to the New York Times. ‘Five minutes after the transfer, FSB officers broke into the room and detained a suspect of espionage. Zherebenkov added that Whelan is behaving ‘constructively and correctly’ while in custody. 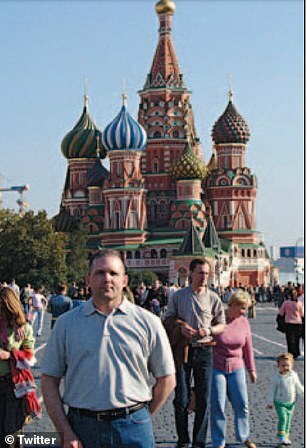 Paul Whelan’s twin brother David claimed that Paul had arrived in Moscow as he had been invited to a wedding. The Whelans family have turned for help to the US Congress, the US embassy to Russia, and to the US Department of State, David Whelan said. US ambassador to Russia Jon Huntsman met with Whelan in Moscow on Wednesday. 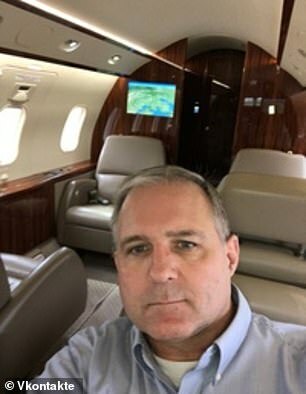 Huntsman said he offered support and assistance to Paul Whelan, and later spoke to the man’s family by phone, but he would not discuss the case in detail. The ambassador said the US complained to the Russian government about the length of time it took them to grant consular access to Whelan, who had been arrested five days prior. 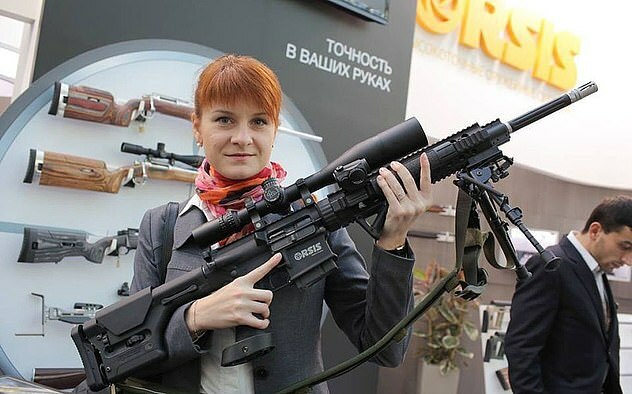 Experts on the Kremlin have speculated that Whelan’s arrest was bogus, and an attempt to create leverage against America in the case of Maria Butina, a Russian woman who recently pleaded guilty in the US to acting as an illegal foreign agent. Whelan’s attorney, who used a translator while speaking with his client, said he would welcome an exchange, but that would be at least six months to one year away, because that’s how long the shortest possible legal case would take for the vet. An exchange for Butina would require Putin to pardon Whelan, if convicted. Rosbalt stated that Whelan, a corporate security executive, was ‘caught red-handed immediately after receiving a media with information containing state secrets. ‘It was about a list of persons that is not subject to disclosure and has long been the object of keen interest of US intelligence. Whelan – whose family insist he is innocent – had allegedly been engaged in secret activities for a decade, according to an intelligence source cited by Rosbalt. ‘Whelan for 10 years led intelligence activities, and he found ‘objects’ (sources) to get the necessary information on the Internet,’ reported the news outlet. In a follow-up report, Rosbalt claimed Whelan ‘used quite unusual methods in his spying activities’. The source said that about ten years ago he started registering on the various internet websites and forums attended by large numbers of Russians. ‘The American man posted about his love to Russia, his wish to master the Russian language, to visit Moscow,’ stated the report. ‘He wanted to learn more about Russia, he was interested in the country, its culture and the Orthodox faith,’ Zherebenkov said. The lawyer noted that Whelan, who spoke conversational Russian, had visited Sergiyev Posad, the spiritual seat of the Russian Orthodox Church, north of Moscow. Some of those Whelan befriended online were of interest to US secret services, it was claimed, and these people ‘might have access to secret information’. The report went on: ‘Having established solid contacts with Russians online, Whelan began to visit Moscow in person. ‘He pretended he had come to Moscow “to have fun” and he always met his internet friends. In these sessions ‘the US citizen tried to understand if they possessed information interesting for US secret services, or if somebody from his close circle might have such access’, it is claimed in the report. If the person looked potentially interesting, Whelan ‘aimed to establish maximum trusting relations with them, (and) even attended family parties. No names were given of people Whelan had allegedly targeted. Nor was any proof given to support the allegations in the Rosbalt reports. Meanwhile, the Nezygar Telegram channel – seen as having insider information in Moscow – cited a source saying Whelan ‘was involved in spying activities since his work in recruiting company Kelly Services that has an office in Moscow’. The report predicted that law enforcement ‘will have to go through the whole database of those recruited by Kelly’ over a ten-year period. It would be necessary ‘to check if anybody had been recruited’ as a result of Whelan’s activities. ‘This American company was dealing with recruiting people for top jobs in strategically important Russian companies in Moscow,’ stated Nezygar. Its recruitment was in potentially sensitive sectors such as IT, telecommunications and pharmaceuticals, as well as sales and marketing. Rosbalt reported that Whelan’s lawyer Vladimir Zherebenkov refused to comment on the case. He said he was under a legal ban preventing him sharing information. But he said that his client Wheelan ‘looks confident, possessed a great sense of humor and hopes that the investigation is not biased’, according to Rosbalt. ‘We will complain in the Moscow city court on the fact of his arrest,’ he was quoted as saying, indicating he was seeking non-custodial detention for the American while the investigation goes on. ‘There was no evidence presented that Whelan can hide or put somebody under pressure. Whelan, a resident of Michigan, was arrested on December 28 at the Metropol Hotel in Moscow and is now being detained in the city. Whelan was in Moscow to attend a wedding when he disappeared, his brother, David Whelan, said Tuesday. He arrived December 22 and was scheduled to stay through Sunday. The Marine Corps on Wednesday released details of Whelan’s service record. He served in the Marine Corps Reserves from 1994 to 2008 and was convicted of larceny in a special court-martial in January 2008. 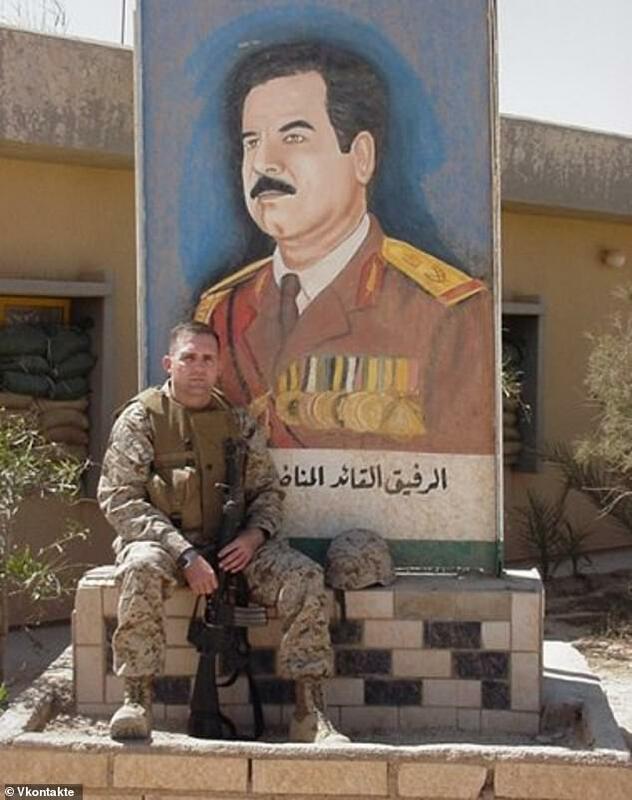 Whelan attained the rank of staff sergeant in December 2004 after the first of two deployments in Iraq. He was an administrative clerk and administrative chief. He was given a bad-conduct discharge in December 2008 at the rank of private. His last place of duty was at Marine Corps Air Station Miramar in California. David said in an interview that his brother had been to Russia several times previously, so when a fellow former Marine was planning a wedding in Moscow, he was asked to go along to help out. David said that it was while searching the internet Monday that he learned of his brother’s arrest. ‘I was looking for any stories about dead Americans in Moscow, so in a way it was better than finding out that he had died,’ he said. David said he has no idea why his brother was targeted by the Russian security services. Paul Whelan had traveled to Russia in the past for work and to visit friends he had met on social networks, his brother said. ‘I don’t think there’s any chance that he’s a spy,’ David told CNN. ‘He is responsible for overseeing security at our facilities in Auburn Hills, Michigan, and at other company locations around the world,’ company spokeswoman Kathy Graham said in a statement. Whelan’s defunct website reveals his enthusiasm for the country and multiple trips there. 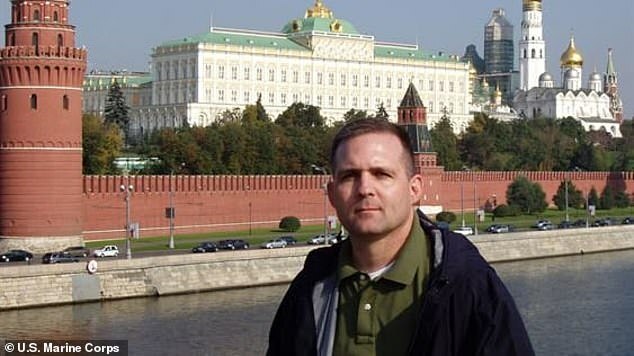 His website, paulnwhelan.com, describes a 2006 visit to Russia, which appears to be his first trip to the country. An archived version of the site, which is no longer available, was reviewed by DailyMail.com. ‘My recent visit to Russia was a great experience. 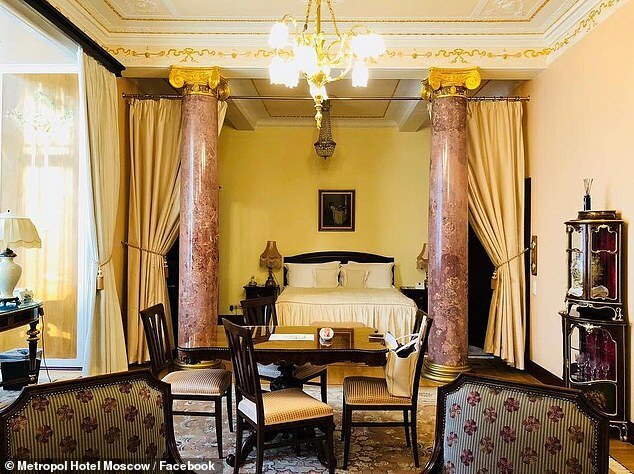 I had quite an enjoyable time exploring Moscow and Saint Petersburg,’ he wrote. The website describes a ‘friend’ named Maxim that Whelan made on his travels, who was ‘currently serving with the Russian Army in Moscow’ at the time. ‘We met in Moscow and visited many interesting areas of the city together. We have stayed in touch with one another and have shared many interesting stories and experiences,’ Whelan wrote. ‘The Russian language is very difficult to learn, but I’ve been slowly studying and learning from my friends,’ he continued. The website’s photos have not been preserved, though the captions remain. Lubyanka is the popular name for the headquarters of the FSB, the same agency that arrested Whelan on December 28. It is the successor agency to the Soviet Union’s KGB. He also posted a photo of himself on the site wearing a Spartak Moscow football jersey.